I just spoke to a mom who’s a bit melancholy right now. Her 24-year-old son has stalled. Growing up, her son made excellent grades in school and even played two sports. She and her husband both felt good about their son’s future. Surely, he was going to flourish as an adult just as he did as a student. Somehow, when he traded in the school report card for the one we all use in our careers, the exams are different. Sometimes, the skills are different. It’s no longer about memorizing a lecture in class and regurgitating it during finals. Now it’s about skills and virtues that frequently we don’t learn in a classroom. I’m not sure if that should encourage us or discourage us. What’s the Real Report Card? I meet amazing students every year in universities and high schools. The student leaders from Gwinnett Student Leadership Team, just north of Atlanta, come to mind. As do the student leaders at Duke University, Georgia Tech, Stanford or for that matter, the cadets I just met at West Point. Each of them, however, has told me they realize that they’ve got to expand on the academic skills they’re pushed to obtain. They know life is different after graduation. Despite schools pushing almost solely on maximizing GPA, students now realize that a school’s incentive for that is funding. 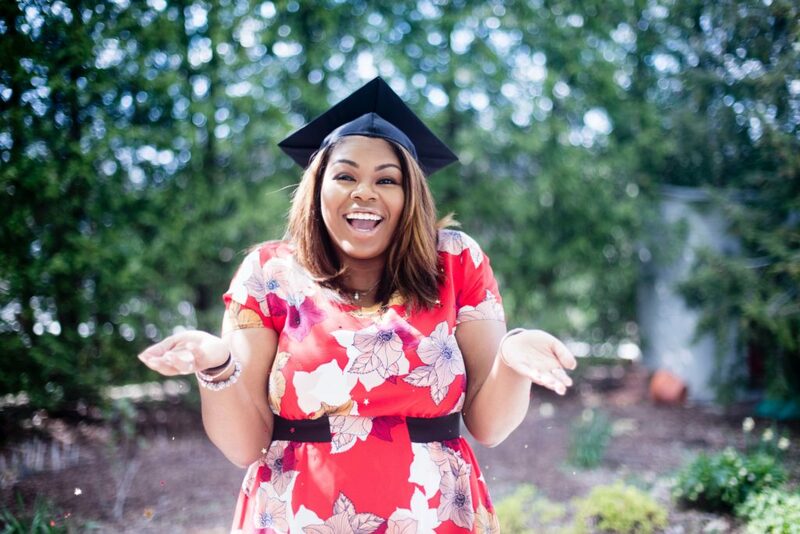 If the graduates are going to get funding after they finish school, they need to adopt a new report card quickly. But just what are the “subjects” that are indicators of future success? This trait naturally motivates people to follow through on tasks and projects. Conscientious people are good at conquering their impulses; they can delay gratification. After IQ, conscientiousness is often considered one of the best predictors of life outcomes like educational success. At work, high conscientiousness is essential for good strategic planning. Leaders know that in excess it can also mean that we are too rigid and inflexible. This trait is about the ability to face diversity, chaos and uncertainty—and still keep progressing. It’s a cousin to adaptability but it is more about our brains—can we digest many perspectives, understanding the complexities of our reality and find solutions? People with a high tolerance for ambiguity can incorporate many more viewpoints before coming to a decision, which means they are less dogmatic and more nuanced in their opinions. This is vital in our day. There’s lots of talk today about being “lifelong learners.” While it may sound cliché, it’s actually a key to thriving in our day. BBC Journalist David Robson writes, “Recent research shows that an inherent interest in new ideas brings many advantages to the workplace: It may mean that you are more creative and flexible in the procedures you use, help you to learn more easily, increases your overall job satisfaction and protects you from burnout.” Curious people are happier, and they see new days as opportunities. This trait is about how courageous we take on risky situations. For example, do you shy away from hard confrontations with others? Or, do you believe that if you “pay now you can play later?” People with high risk approach scores face unpleasant situations now, knowing they usually lead to clarity and better outcomes later. Not surprisingly, the capacity to deal with difficult situations is critical for management positions where you need to take action for the greater good, even in opposition. This can be a mixed bag. At its best, competitiveness can lead to pushing yourself to get better, to learn from your competition and to go the second mile; at its worst, this trait can tear people apart. When this trait is present, it can prevent people from getting complacent and satisfied with the current performance—if held within boundaries. Healthy competition is a good thing on teams and in organizations. Talk it over: How well do you embody these traits? How about your students? Designed as a full introduction to the series, this special package deal serves as a great opportunity to preview all the Habitudes topics and get a feel for how you could use them in your specific environment. 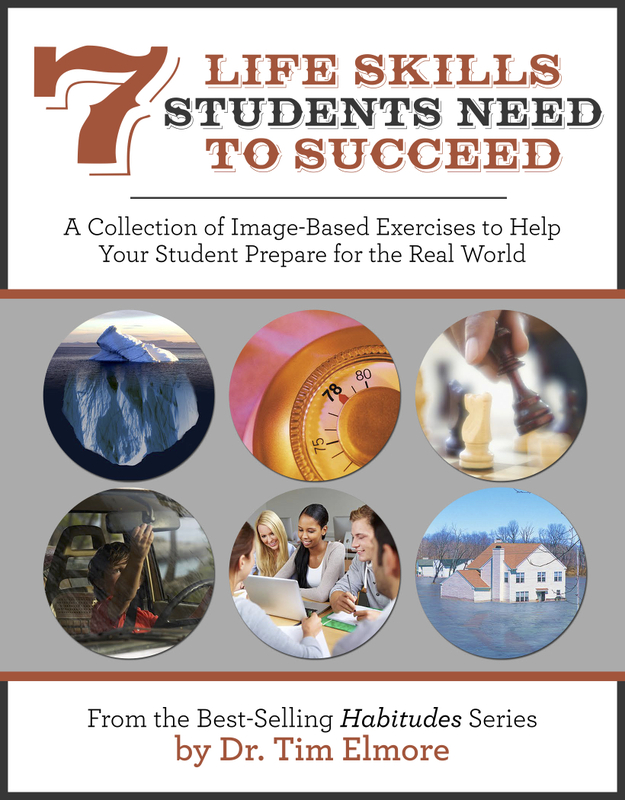 Included are all eight workbooks in the Habitudes: Images that Form Leadership Habits and Attitudes series. 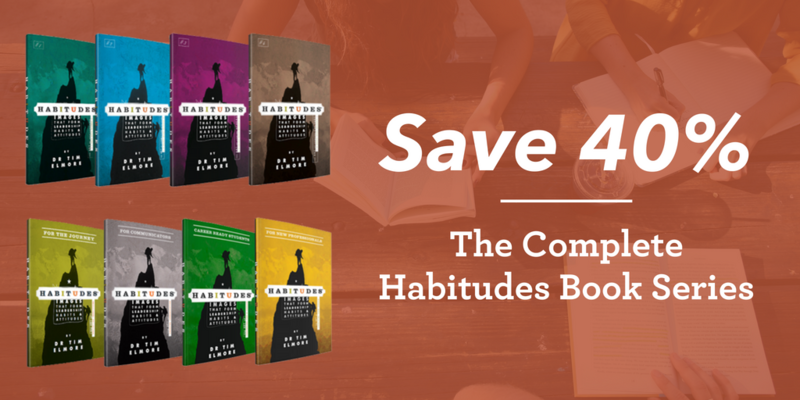 Click on the link below to order the Complete Habitudes Book Series today!